If there is one thing all hair types can agree on, it is this: we crave shine. After all, lustrous hair is associated with healthy hair. Shiny hair is looked at in two parts: the Chroma-Band reveals the color within the hair shaft, and the Shine-Band reflect the light off of the hair's protective coating. Principal scientist Dianna Kenneally says "The physics of hair shine is the reflection of light not just off the cuticle, but through your cuticle... The light goes through the cuticle, absorbs the color of your hair, and comes back." 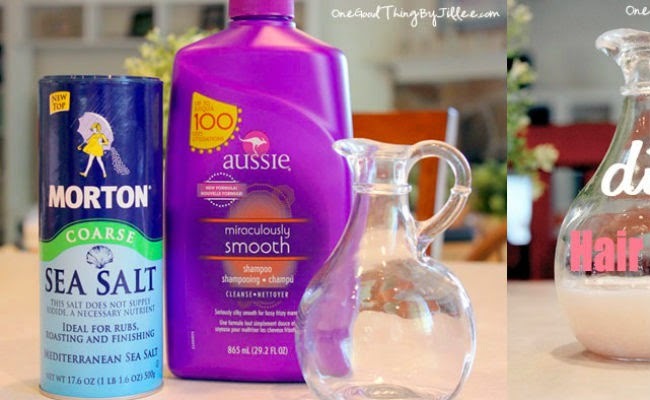 These two ingredients are miracles when it comes to dry, damaged hair. 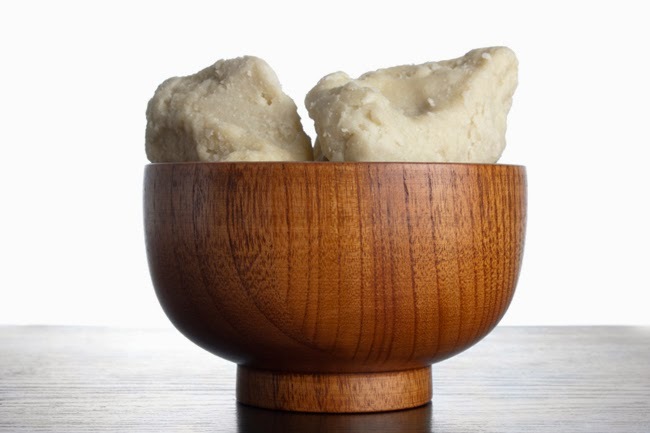 While the shea acts as a moisturizing base, the honey will seal and coat the hair for more shine and luster than ever. Naturalology offers us a fairly easy and natural, scentful deep conditioning treat for our dull hair. 1. Using a disposable bowl, blend the ingredients into a smooth consistency. 2. Apply the concoction on damp hair and cover it with a plastic cap. 3. Let it sit for 30 minutes. 4. Rinse out with cool water to close the cuticle and promote even more shine. 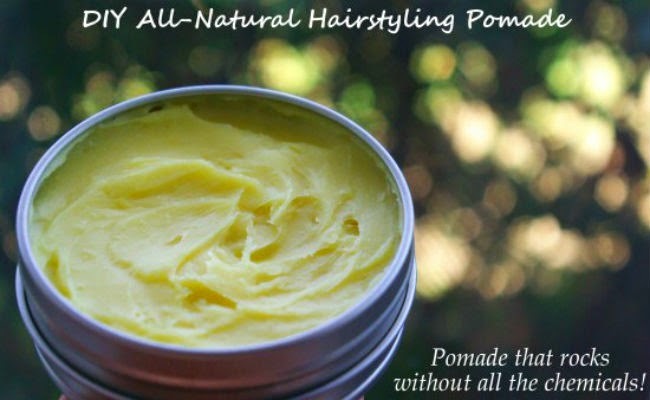 If you need a styler free of harsh, unnatural chemicals, this homemade pomade styler by The Hippy Homemaker is perfect. The heavy duty beeswax, shea butter, and jojoba oil mix make this pomade is an amazing moisturizer that will last for an updo during the entire work day. An added bonus is that it's a great DIY treat for the man in your life, too. 1. Use a double boiler to melt the shea butter and beeswax. Allow them to sit on the heat for 20 minutes. 2. Mix the jojoba oil with some arrowroot powder (skip the arrowroot ingredient if your hair needs that extra shine boost). 3. Remove the shea and wax mix from heat and add your jojoba oil. 4. With a hand mixer, blend the ingredients until they form into a pudding consistency. 5. Scoop and place into a container-- preferably a small metal tin. Sea salt is great for degreasing an oily scalp full of build-up. On One Good Thing By Jillee, this DIY hair detox makes her feel a little bit better about using so much hairspray lately, which causes build-up. And of course, it restores the shine back into the hair follicle. Remember, this is not intended for daily use; it can be drying to your scalp. 1. Mix 3 parts coarse sea salt with 2 parts your favorite clarifying shampoo. 2. Wash hair with mixture, rinse with cool water to seal the cuticle. In preparation for the hotter weather (just putting that out there into the universe), The Doc N Diva gives us this super hydrating recipe to add strength and moisture to our parched manes. 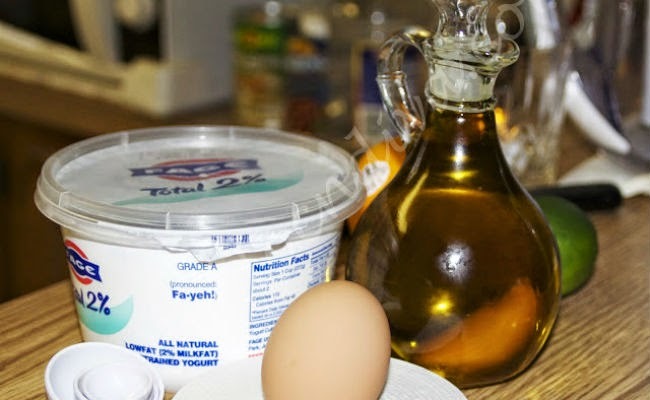 The yogurt in this recipe is meant to condition and cleanse, the olive oil is a natural moisturizer (adding silkiness and shine), and the egg will give our strands a protein boost. 1. Add 2-3 teaspoons yogurt, the entire egg, and 2 teaspoons of olive oil to a bowl and mix well. 2. Apply from root to tip to your hair and scalp. 3. An hour later, rinse out well and clarify with a shampoo. Rosemary has high antioxidant levels and protect the scalp (or skin) from bacteria entering the follicle. Mint stimulates the senses as well as circulation, making it great for promoting hair growth. The coconut oil is used for one of its many benefits, shine. The great thing about this recipe is that one batch will go a long way. Little Green Dot shares a helpful recipe that can act as both a scalp stimulator for longer hair and a split end mender to hold you over till your next trim. 1. 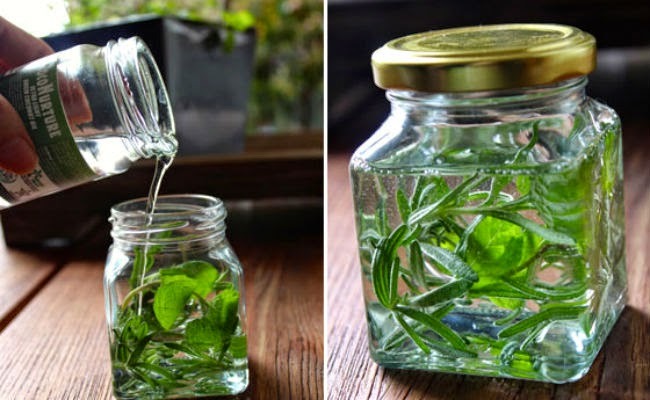 Fill your sterile jar with the fully dried rosemary and mint. 2. Fill the jar with coconut oil and tightly seal it. Let the ingredients marinate for a couple of weeks. 3. Strain out the herbs and keep the oil. 4. Massage onto your scalp and rinse out after 20 minutes, or rub the oil between your fingers and seal your ends. What are your favorite recipes (and ingredients) for shiny hair?